Discover inner resource that could help you resolve the most troubling, vexing and intimate human dilemmas: Why is life such a struggle, a constant challenge? Why is my inner life so full of contradictions? How does one deal with anger, anxiety, unwholesome desires, jealousies, stress and emotional, mental and spiritual blockages? What is the secret to developing loving and lasting personal relationships? How does one attain genuine joy, satisfaction, and a general sense of wholesomeness? 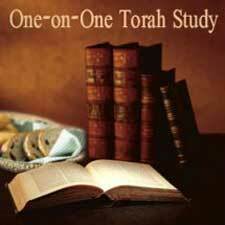 Did you ever want to learn about jewish topics, but didn't know where to start? Do you feel like you would benefit from personalized learning? Moses and Maimonidies now make house calls! It's simple! Just pick a jewish topic of your choice, and we will try to work out a time to meet, learn and discuss (and even have a cup of coffee).